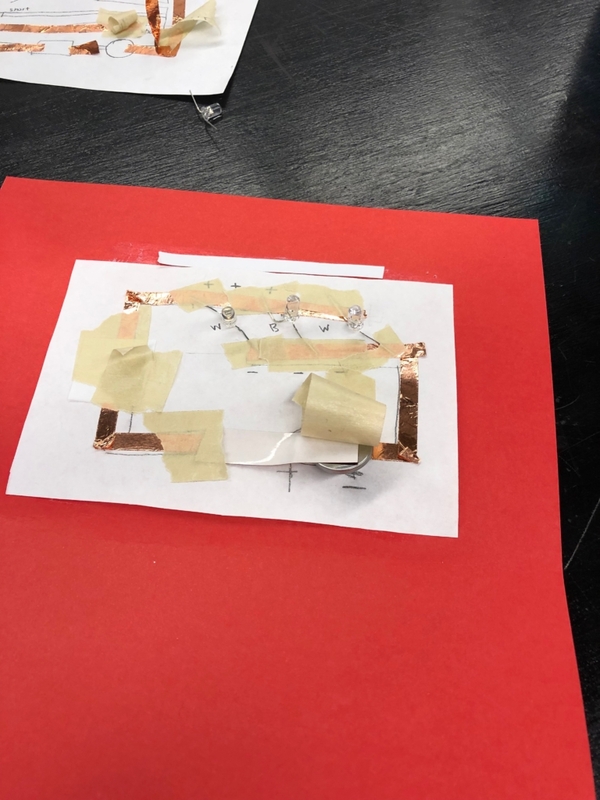 I began my project by making a small simple circuit with two bulbs, a resistor and a battery. I used one pink bulb and one white bulb. I needed the resistor to make sure that both the bulbs got an even amount of energy from the battery. 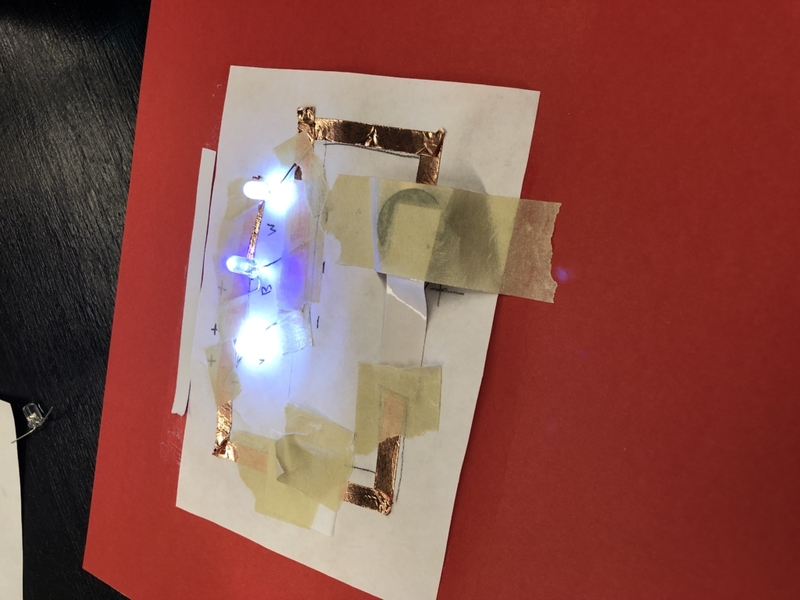 When I first made the circuit it did not light up, I then added another battery and it made it light up. 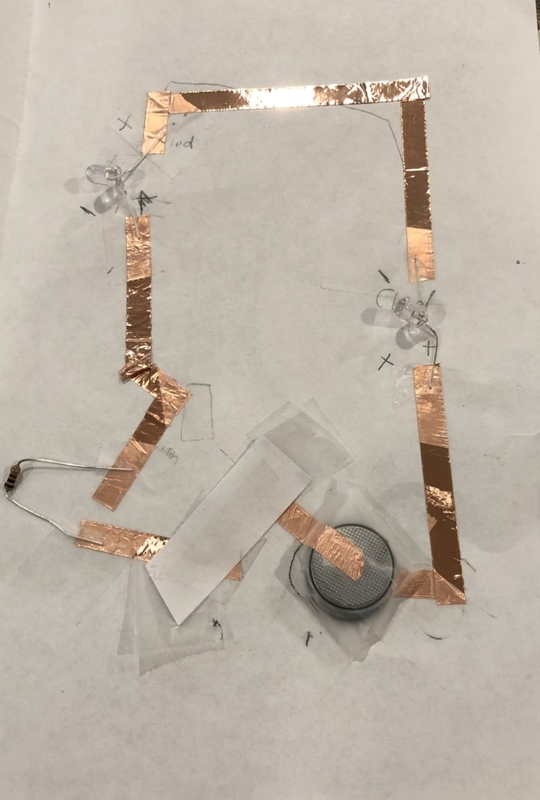 This is the circuit I made to go inside my card. I made sure to do a parallel structure so it would work better. I had to use two batteries to make the white and blue lights show up better. I wanted the lights to look like stars so I decided to use blue and white lights. 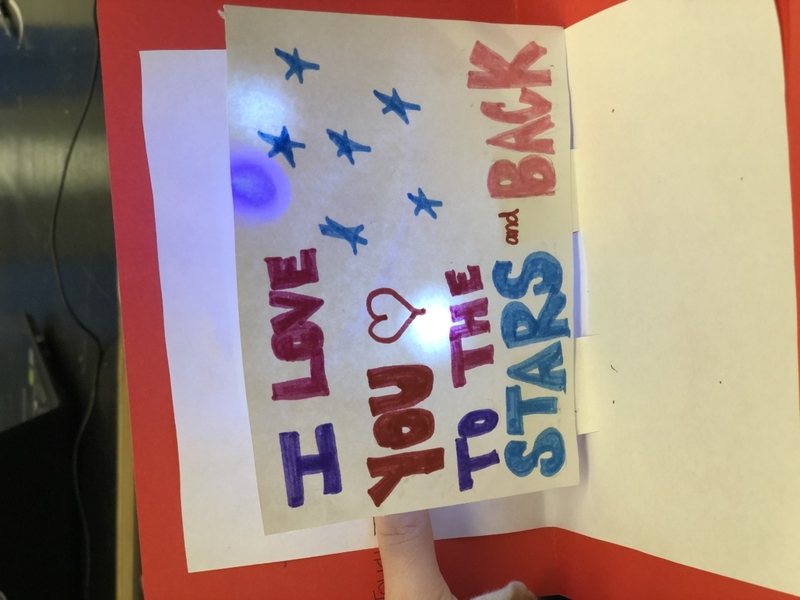 I would have wished I used more lights and lined up the paper better so the lights would be lined up with the stars I drew. I also wish I put the switch on the bottom on the card so it was easier to access. Overall I am very happy I got the circuit to work but wish I made my card more elaborate. 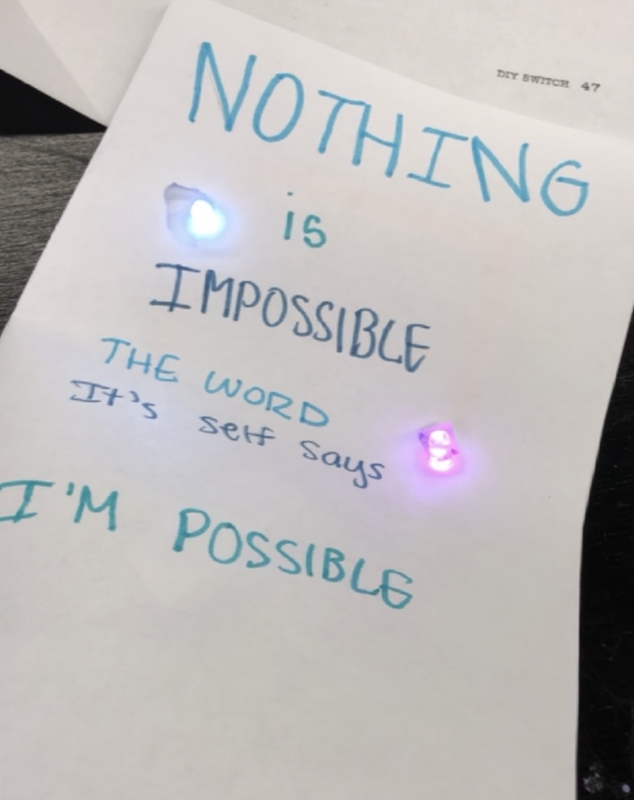 This project was challenging for me because I have never worked with circuits before, but I had a fun time learning about them and making my own. These first two I made in class. 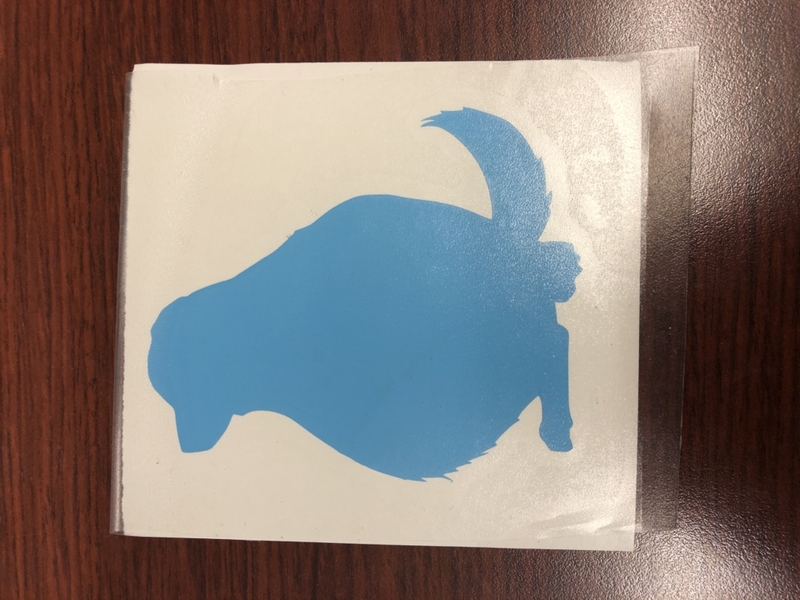 I combined a dog and a chinchilla to make the blue silhouette sticker. I love dogs and have always wanted a chinchilla so I easily knew what two animals I wanted to do. 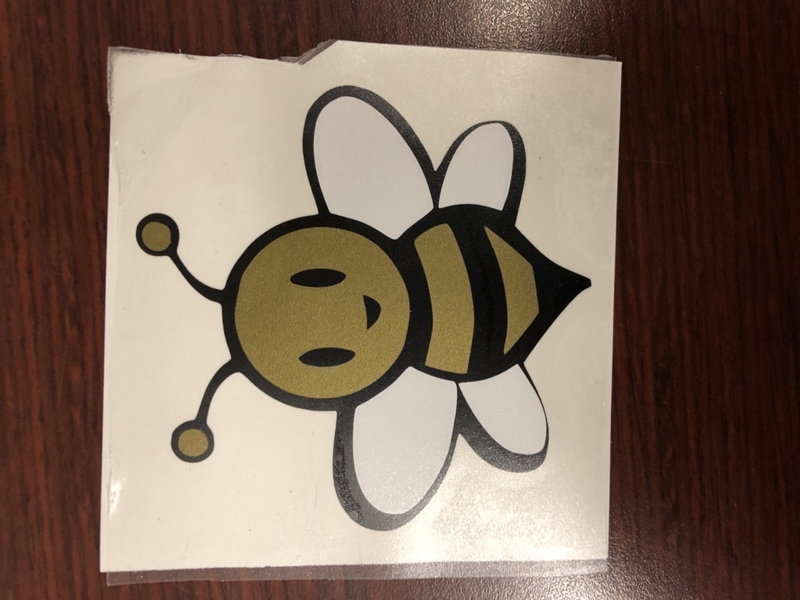 Then during class I made the multiple layered bee. I decided to use a gold color instead of the normal yellow because I am not a fan of yellow. These were the three designs I made on my computer to print out. The first two were somethings that I thought were very cute and loved looking at. The last one was the one I liked the most. I decided to not print the TV out because it had a lot of small lines and objects I did not think would print out correctly. I definitely will adjust it in the future and print it out. 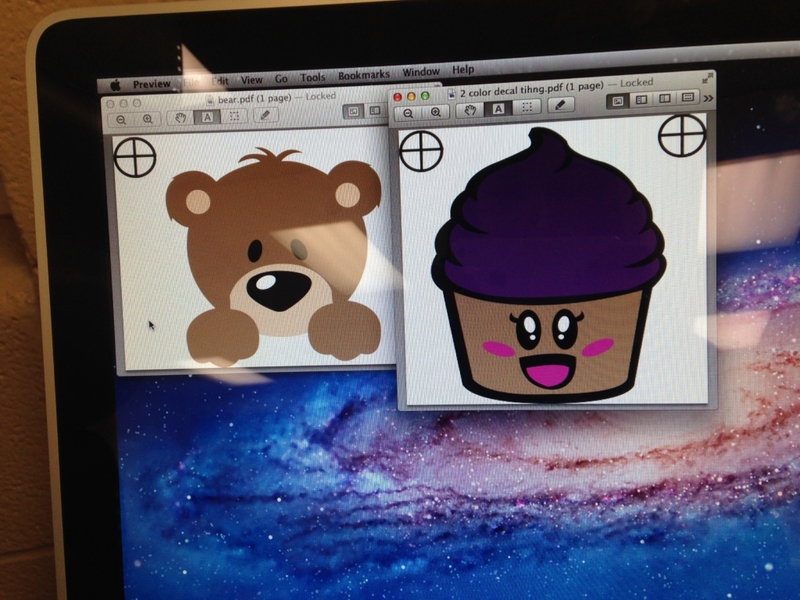 I decided to with the bear design to print out. It did not go well to say the least. I did not allow enough time to make it properly and I did not have to correct colors I wanted for it. Many things went wrong when I made this. First I did not trace all my colors correctly on the computer. There were supposed to be four colors but it did not work out that way when I traced it. I made the mistake of not locking in place the mat so the cuts were wrong. Which lead to the design above. 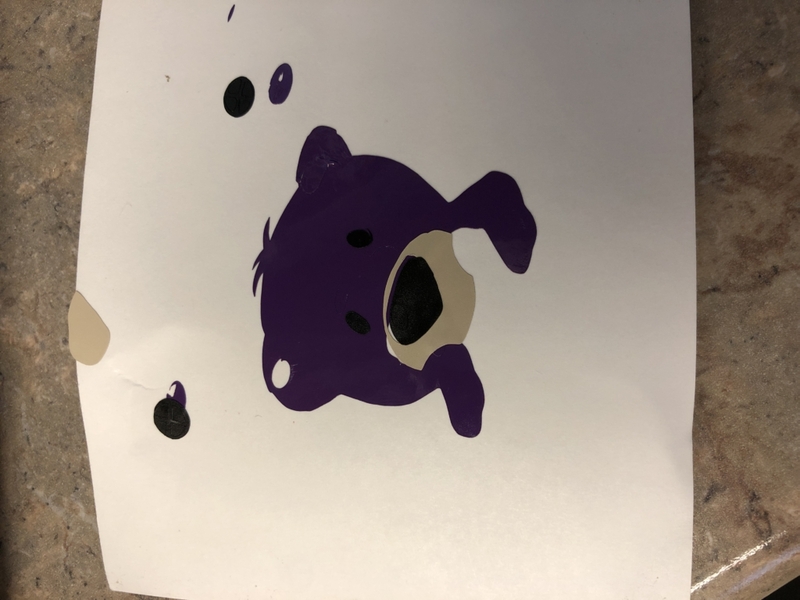 There also was no brown vinyl so I made the bear purple. Next time when I have more time I will most definitely take more time to make it look better. Also making sure I know how to use the machines is something I need to focus more on. Overall, I am happy that I at least have something to show but definitely not that pleased with this final product. 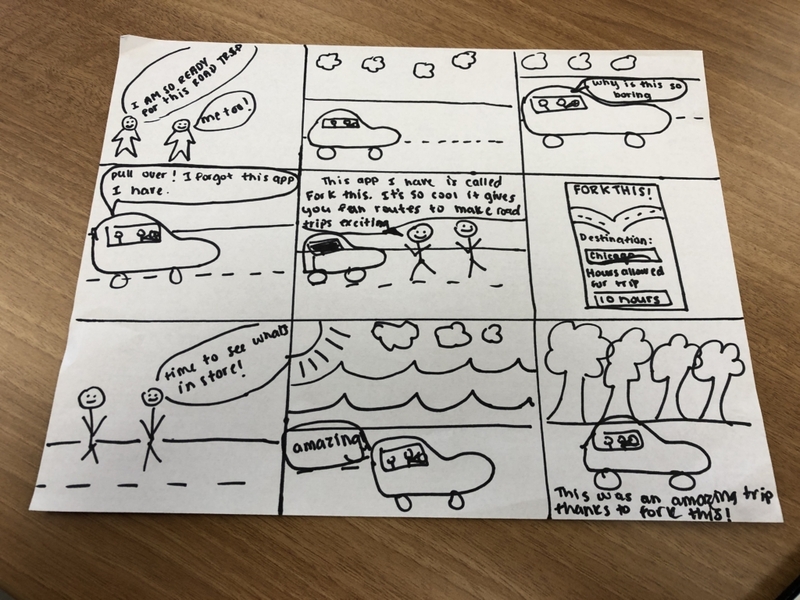 My storyboard is based on two friends going on a road trip. They start their journey but notice how terribly boring the drive is. Then one guy remembers this app he downloaded but forgot about, ForkThis!. ForkThis! is an app that lets you but in your destination and how many hours you can spend taking the road trip. It them finds the most unique roads and side-roads to give you the best experience. The two friends want to go to Chicago but they are in no rush so they decide they have 10 hours to roam around and see the beauty of nature. They found a road right off a body of water where the perfect puffy clouds and soothing wave sounds relaxes them. Then they travel through a forest with some of the most green and tall trees they have ever seen. Over I think this app would actually be something I would use. I love to drive and have no idea where I am (as long as I have a way to find my way home). I do not have my first draft from class because I threw it away when I started this one, but below is my finally draft. My first draft was pretty similar to this one, but I decided to add more detail and change the name of the app I originally made. My first design was completely different from my end product. I liked the image I had on it but I did not think it would work as a real name tag. 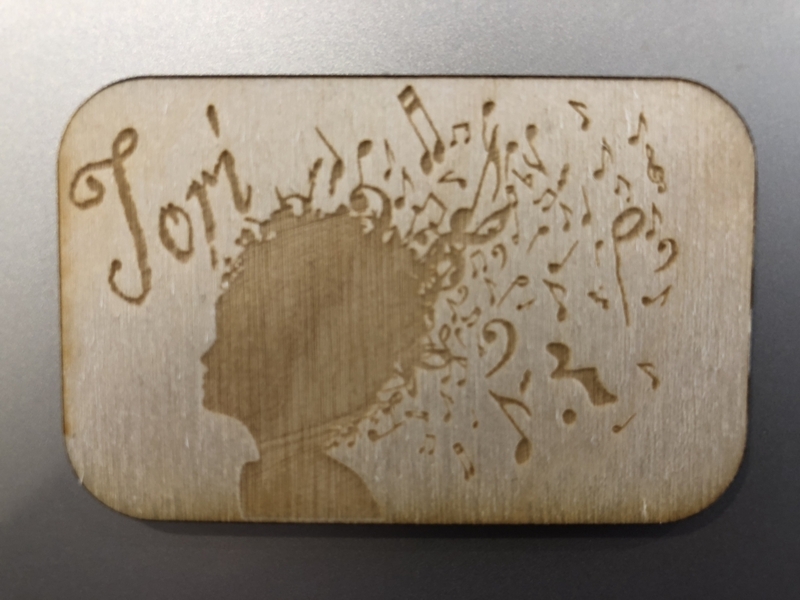 I knew I did not want my final design on wood because personally I am not a fan of the look. 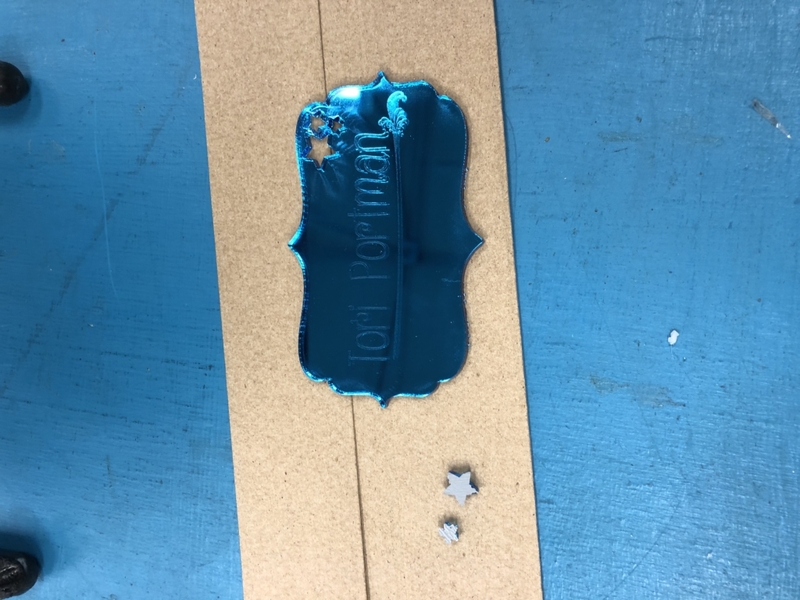 I know before I started designing that I wanted the outline of my name tag to be curvy and be simple but pretty. 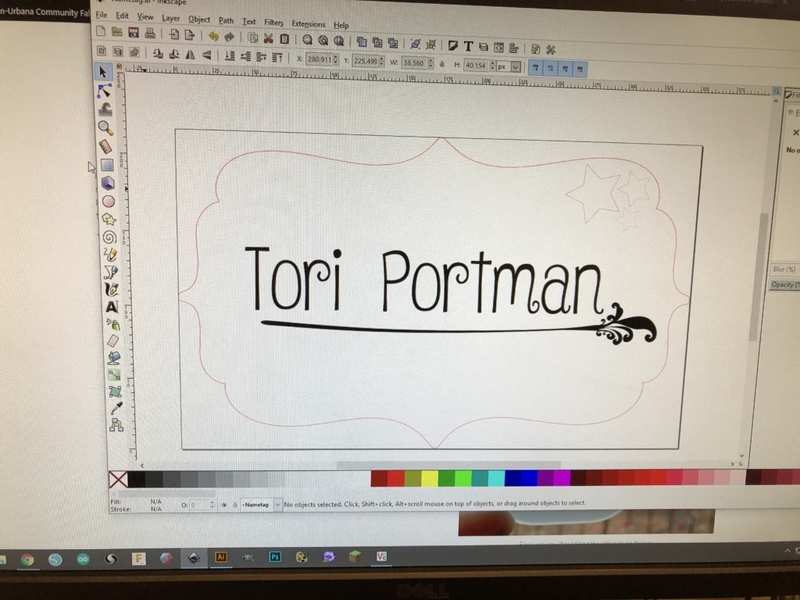 I personally do not have much experience with Inkscape so I decided to make my name tag in illustrator and then copy it to Inkscape. I used a brush stroke on Illustrator to get the fun line under my name, I also drew the outline of the shape to make sure it was exactly to my liking. After I placed it in Inkscape I noticed I had to fix some parts of it. 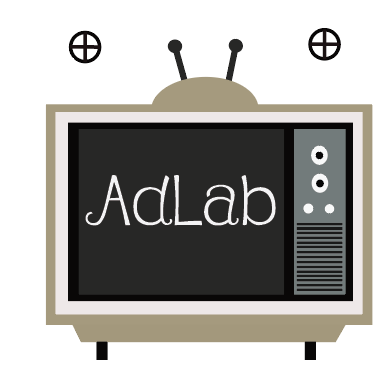 This helped because I got to play around with Inkscape and get more familiar with it. I decided to alter some design aspects while in Inkscape and got to my final design. I made sure to make what I wanted the laser to cut out in red, this is the vector part and anything I wanted etched or raster, I made black. It was important for me to also check the size of my art board to make sure it wasn’t to small or big. After making sure everything was set correctly I went to use the laser. 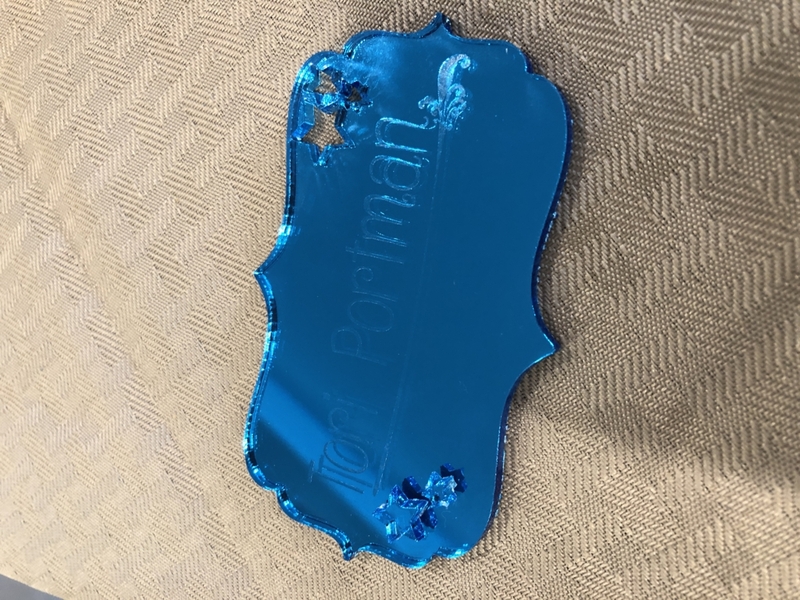 As I was watching it being cut I noticed my name was sort of difficult to see, next time I would probably choose a different acrylic or a different font. If I had more time I would definitely had played with different fonts and different design elements. I also thought it would be fun to take the stars I cut out and glue them on top to give it more than one level. 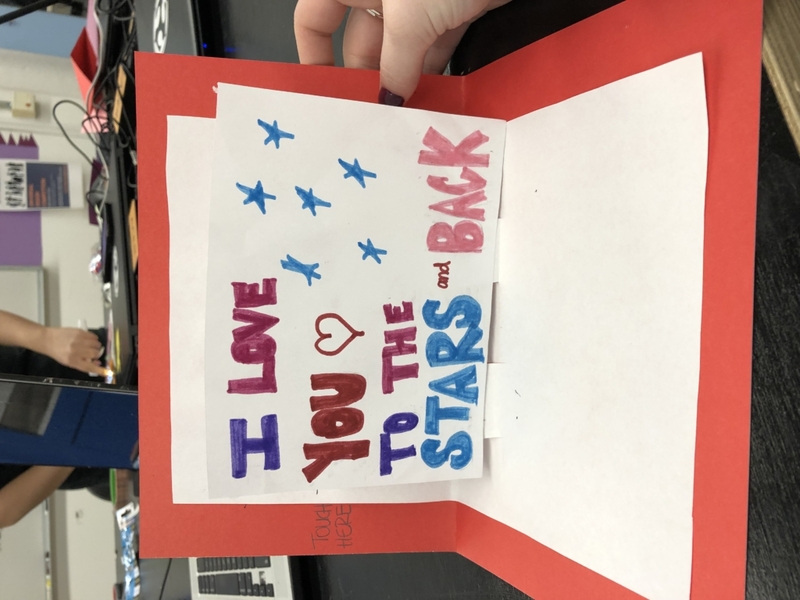 Using the glue was scary because it was toxic and I almost did not do it because of that but I am very happy I did because I love having the stars on it. Overall, I am very happy with the way it came out. I love the color of the acrylic, even if it is sort of hard to read some of it. The hard part was figuring out what I wanted to make, but sometimes simple is all you need and I think it worked out.